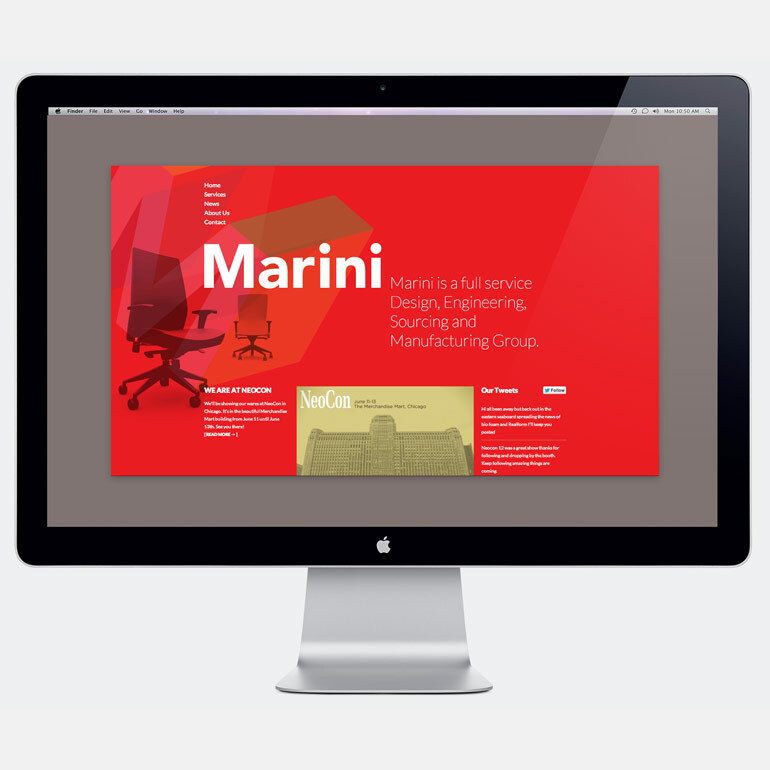 Marini are a leading corporate furniture design company. They use new materials and construction methods. The identity had to compliment this fresh approach. A dynamic 3D ‘M’ device was created which was paired with a simple wordmark. It was design to be cropped, chopped, rotated and played with. 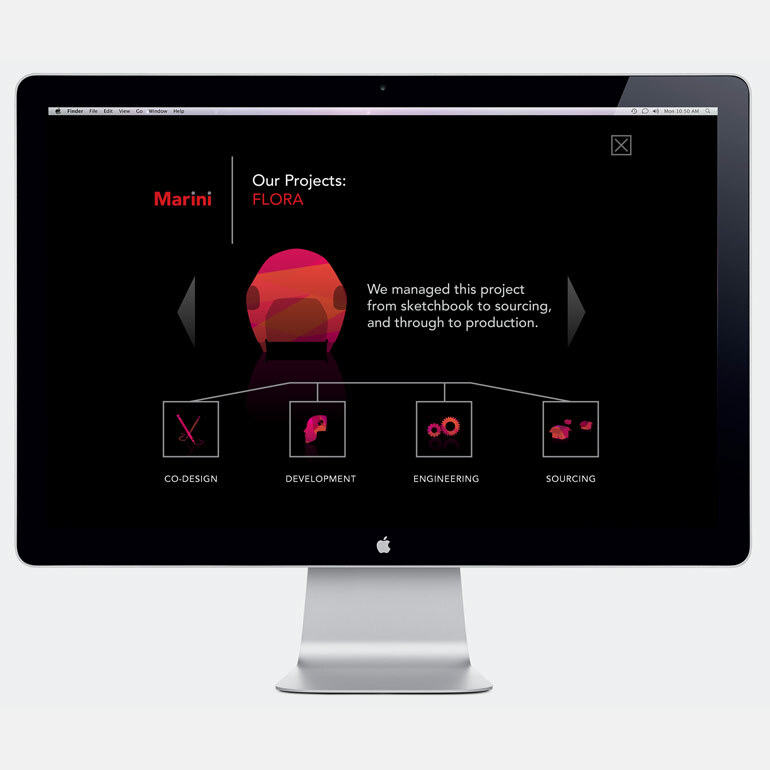 Together they combine to create a bold dynamic statement about this company and its founders.